For three decades, Jackie Fullerton has been a prominent feature of television in Northern Ireland. Football fans chant his name on the terraces and players step up to the mike "just because it's Jackie." 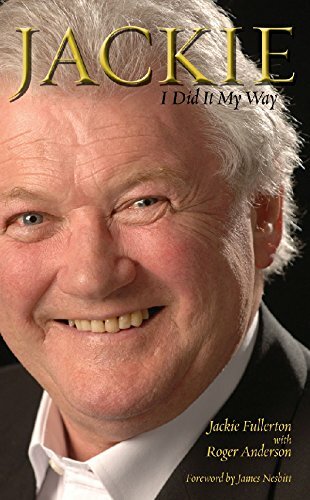 In Jackie: I Did It My Way, Fullerton revisits his days as a player in the Irish League before a penalty competition kick-started his television career. With the easygoing charm and humor which has become his trademark, he turns the spotlight on Northern Ireland's World Cup campaigns in Spain and Mexico, tells the truth about the barney with big Jack Charlton in '94, and recalls how a Protestant from Ballymena was made welcome in Gaelic Athletic Association clubs across the country. If you have any questions about this product by Mainstream Publishing, contact us by completing and submitting the form below. If you are looking for a specif part number, please include it with your message.